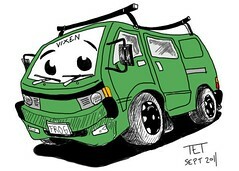 If your a van fan then this caricature of my own van, a.k.a 'The Frog Van' may just be something you'll want to wear. 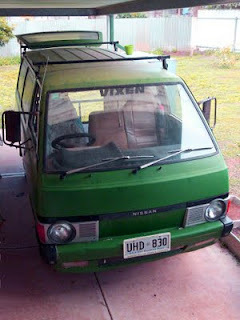 You can read about its travels and my attempts to repair it in many posts throughout my main blog. I won a Wacom graphics tablet in a contest and this caricature of my van was one of my first attempts at drawing directly into the computer. Drawn using Autodesk Sketchbook lite.